Recently I’ve been playing titles from Warhammer 40Ks Dawn of War 1. I’ve returned to these games multiple times now, and I have wondered why? My conclusion is that its the well designed battles. Dawn of War 1 has taken many hours from me, and with this piece I think I’ll take something back. Given the rich history of lore, previous video games, and an existing tabletop game there is plenty of meat for a game designer to sink ones teeth into during the design process. By the end of Dawn of War 1 Soulstorm there were nine playable factions with varying mechanics. Each faction had a distinct identity, strengths and weaknesses. One faction I will briefly look at is one of my favorites, The Imperial Guard. Known as the Emperors Sledgehammer, The Imperial Guard are neither the Super Soldier Space Marines nor the Mystical Eldar Warlocks. The Imperial Guard are the common human, seemingly weak in strength, and spirit among the denizens of the universe. In Dawn of War 1 the core of the Imperial Guard are its Guardsmen. Imperial Guardsmen are numerous, and cheaply replaced. They are initially weak, their morale easily shattered facing slaughter at the hands of heavier infantry units. Their limitations can however be overcome. With thematic enhancement options such as propaganda, decrees, equipment upgrades, and squad leaders. Guardsmen can be significantly augmented to become fierce fighters able to withstand, and even overcome opponents they were initially unable to. Perhaps I’m reading into it too much, but I enjoyed how its designed that the common human with determination, equipment, training, and leadership. Can unlock their potential, can rise up, and defeat their enemies. Still the common human has much more to offer. Many years ago I used to play Games Workshops Lord of the Rings table top game. Naturally following this hobby I painted a number of models. One such model was the Cave Troll from Moria. 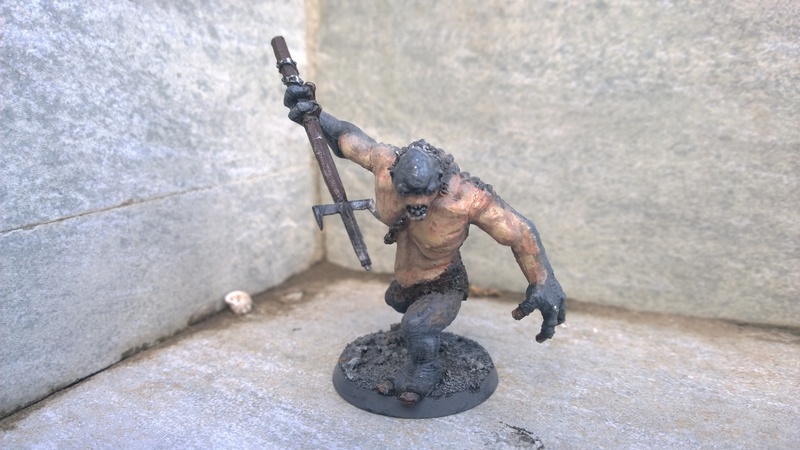 I spent awhile rummaging around the net for a good resource to remember how I painted the model and the best resource I found was from a Youtube channel which had a series of videos on how to paint a Cave Troll. I have written a summary to accompany the video series (paint name reference sheet). Testing that joints fit together and filing them down if necessary (metal). Making customization’s to your model and base as per your preference. Attaching the assembled model to its base. Applying a base coat of Chaos Black (can be done in White but I did it in Black). Here’s an painting project I did several years back when I was playing Games Workshop Lord of the Rings table top board game. 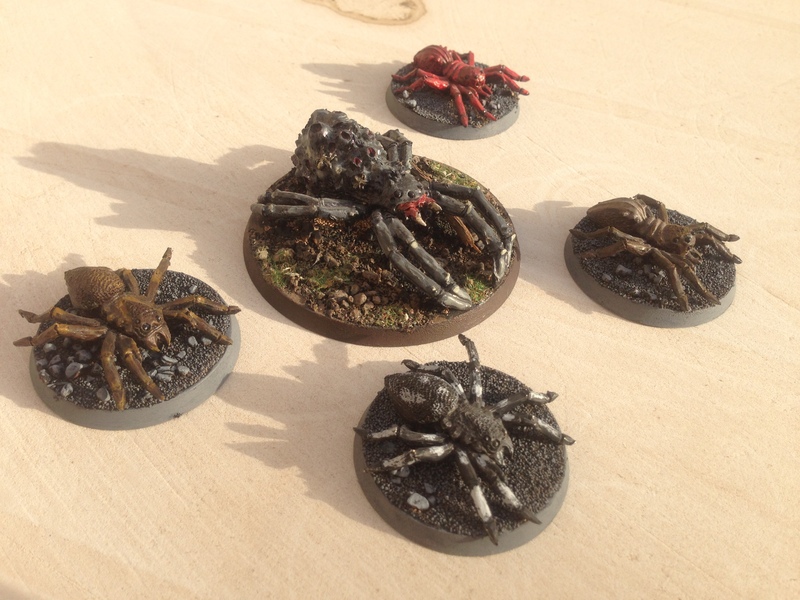 The models are the Spider Queen (without her swarms) and four Giant Spiders.